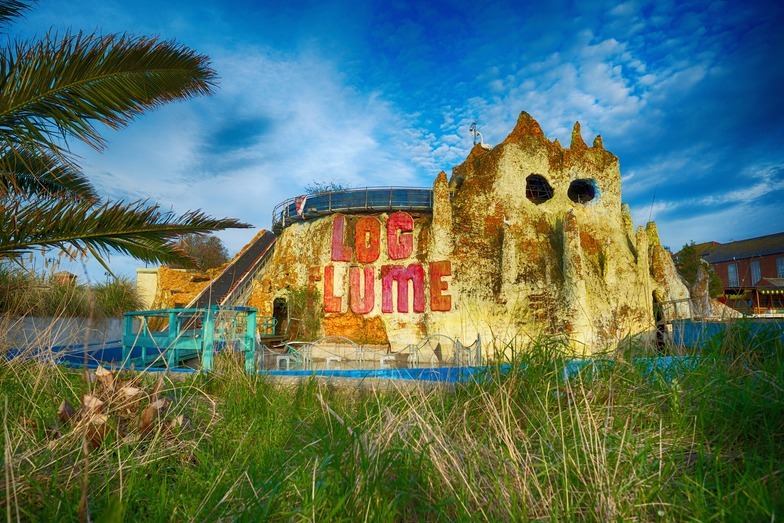 With Alton Towers announcing this week that they would be retiring The Flume after 35 years of operation and Logger's Leap at THORPE PARK Resort closed for redevelopment for the 2016 season, it got me thinking - are we witnessing the death of the log flume? It would appear that we're in a bit of a Log Flume crisis here in the UK. 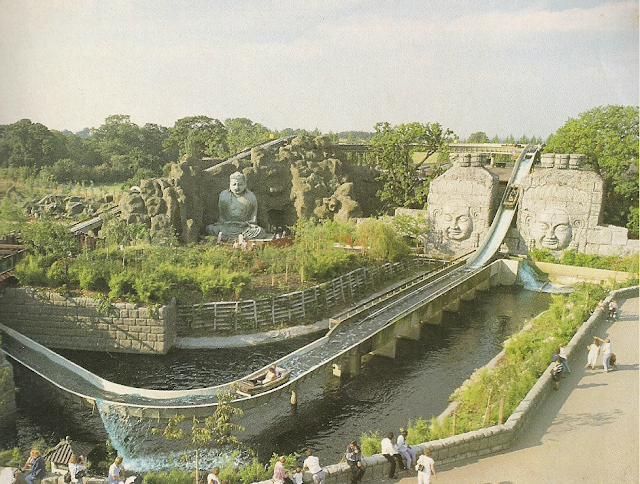 Alongside the aforementioned, in recent years we've also seen uproar in 2013 when Chessington removed iconic theming structures from Dragon Falls, originally called Dragon River when it opened in 1987 and British heritage and theme park enthusiasts alike protested the decision to demolish the classic Barry Island Log Flume just last Easter. So clearly we as a nation are just not ready to part with an attraction that for so long has remained a theme park staple for so many of us. I adore log flumes. 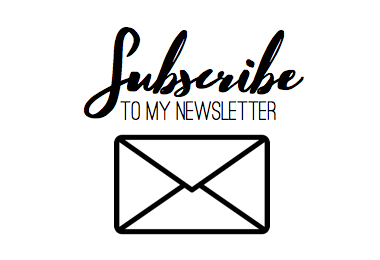 I love the way they look and the way they embody that deep-rooted sense of nostalgia I so often associate with theme parks alongside a sense of adventure and wonder. I love how adaptable they are to theme and storyline, able to switch with ease between a logging expedition gone wrong to an ancient voyage through mystical lands. I will always go out of my way to ride a log flume at a park, and consider them the third most important ride type I must experience when visiting (it goes coasters, dark rides, log flumes, in case you cared). 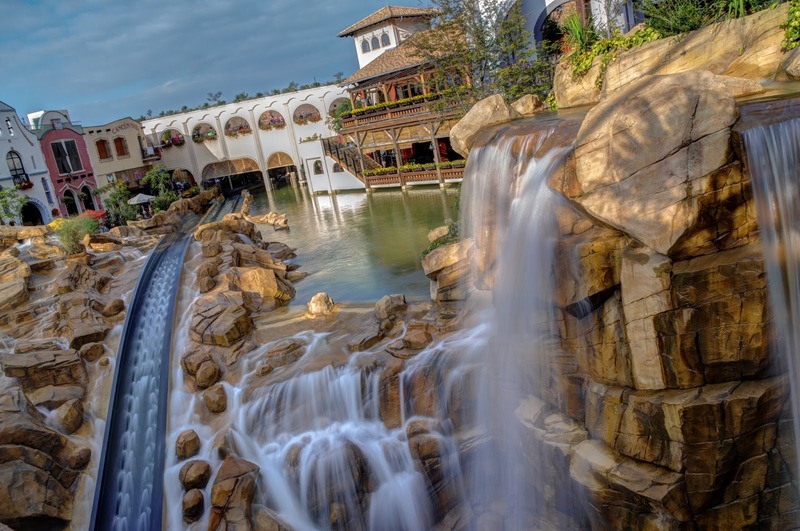 For me, a log flume is just part of the scenery when it comes to theme park design 101. Like, imagine you're building a theme park and you have a check list of attractions you absolutely MUST HAVE. Without a doubt the log flume would feature, but in saying that I guess that is part of the humble ride's problem. It's almost too run-of-the-mill, too expected in a way. Whereas rollercoasters have continually adapted and evolved to remain the shining star of the attraction line-up, the trusty old log flume has stayed the same, continuing to do its job, doing it well but not going out of its way to hog the limelight in the same way coasters do. But then, isn't that kind of the point of a log flume? To me, this archetypal theme park ride has survived so long because it does what it does so well. Never outdated, never boring. Of course, it's never been the stand out attraction but it never professed to be. Of all theme park attractions, the log flume is the one that gives that perfect balance of mildly thrilling that makes it suitable for every member of the family. You rode with your parents when you were younger, you laugh and splash with your friends as your grew older and now maybe you take a ride with your own children. 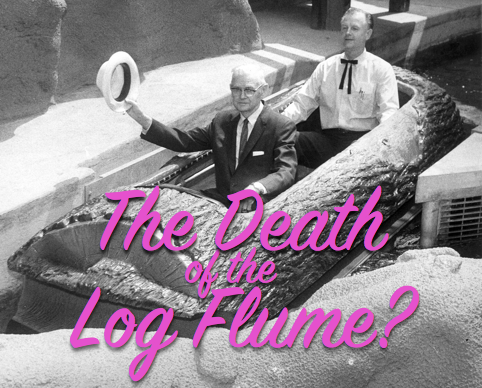 The log flume is absolutely timeless and inoffensive in every way. So that got me thinking, if being too unobtrusive is the log flume's issue, then what does an updated version look like? 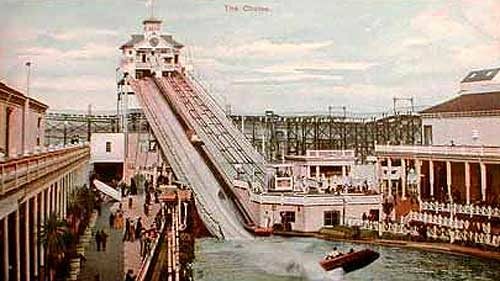 A log flume for a generation infamous for its high demands and short attention spans. 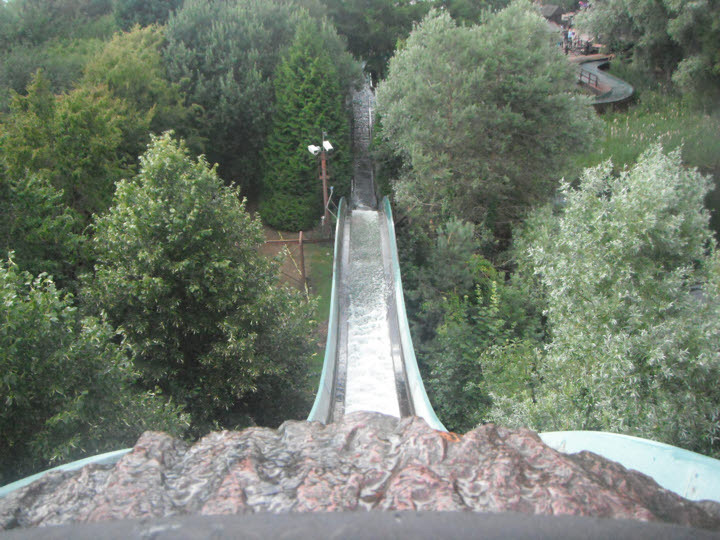 I thought of the likes of Splash Mountain at Disneyland and Menhir Express at Parc Asterix, who inject a little something extra into their log flumes by adding an unexpected airtime hill to give riders an extra thrill. 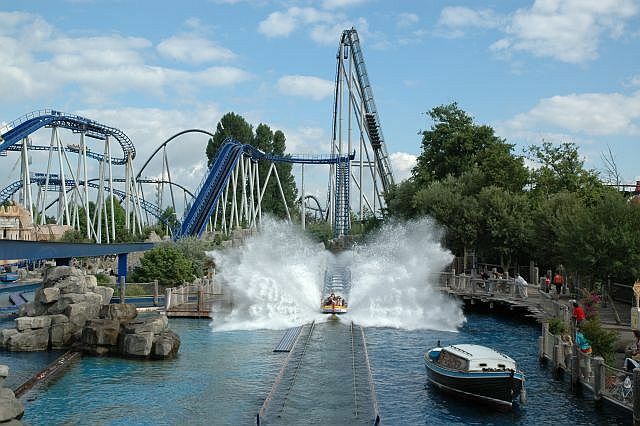 I then think of rides like Poseidon at Europa Park and Journey to Atlantis at Sea World, who arguably have more of a rollercoaster about them than a log flume, and that in turn gets me thinking of how much the original Shoot the Chute water splashdown rides had in common with rollercoasters originally and how the design has basically come full circle. 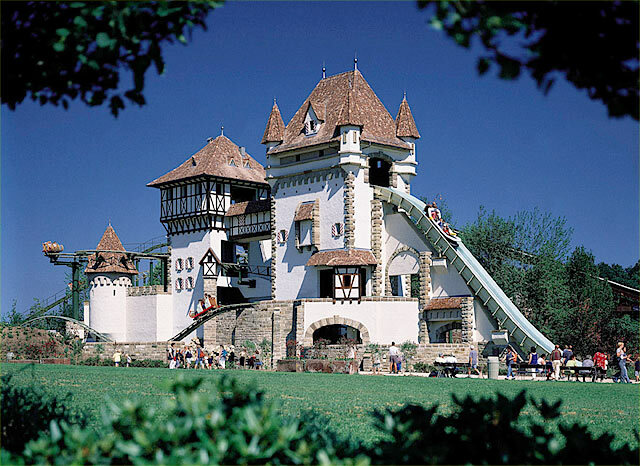 And then I think of my favourites, Tirol Wildwasserbahn at Europa Park and Baddewannen-Fahrt zum Jungbrunnen at Tripsdrill, and how they don't rely on gimmicks and focus more on the flume as a mode of transport through a narrative. I guess the point I'm trying to make is that my favourites have more in common with the original classic design. They don't profess to be anything mind-blowing or groundbreaking and it is this modesty that I find so endearing about the attraction. Stepping into a log flume boat for me is a promise of a voyage of fun and frolics, not of extreme thrills or world's firsts. And we need rides like this. They are the bread and butter of theme parks around the world and I live in fear of the day we slow down and take off the VR headsets only to find that these beloved classics have...gone.